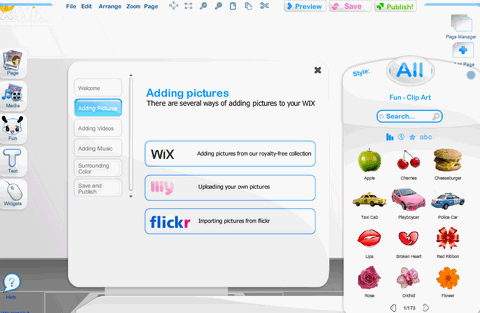 Wix is an online application that allows users to create and publish stunning Flash-based Web content. Wix is not template based, meaning you get to create an unrestrained design. With Wix you do not have to be a designer or programmer to create gorgeous websites and embeddable web objects. Wix’s drag and drop interface easily adds audio, video, images, text, animation, decoration, and so much more. Wix is currently under Closed Beta, but now WebAppers readers are invited to join Wix immediately. You can Give it a try now by filling in the Close Beta Invitation Form for WebAppers readers. Hi guys! I tried to fill the invitation form but… it doesn’t allow me to write the @ character… so how am I supposed to add my e-mail address? I already tried it. Well, it’s well done technicaly, and really easy to use. Anneiv: try to copy on an other window, and paste it in the form (in a window on the url bar).